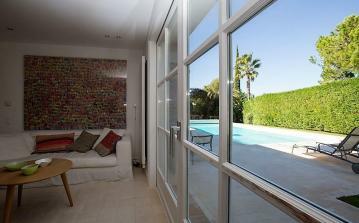 Large luxury villa with private 12.5m swimming pool and hard tennis court. Wifi internet. Spacious living area. 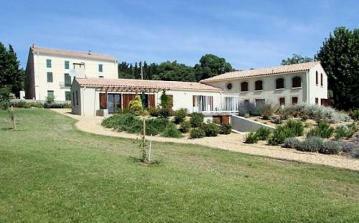 Large landscaped gardens, BBQ and patio. 6 bedrooms / 4 bathrooms. Sleeps 12 plus 2 babies/toddlers. 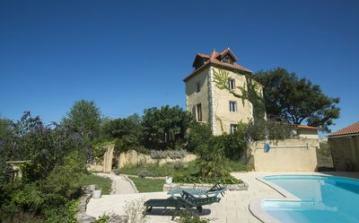 This is a stunning villa situated in the village of Caux, near Pezenas. Heated pool, air conditioning, Wifi, Satellite TV. Can sleep 12 people in 6 bedrooms. 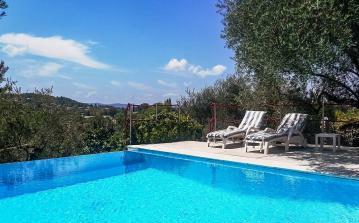 This is an ideal villa to rent for a multi-generation family or 2-3 famillies holidaying together with children. 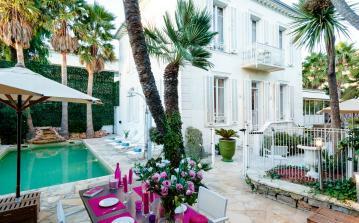 Le Jardin Secret is a haven of peace located in the heart of the citycentre of Saint-Tropez. 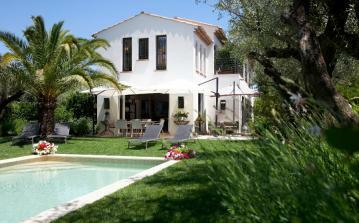 A fully renovated Villa with Mediterranean style gardens. Heated pool. Parking for 5 cars. Very secure. Separate annexe included. Air conditioning throughout. Perfect town centre property with parking. 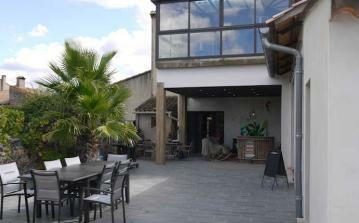 Only 50m from Place des Lices with garage this property is light and airy inside an out. 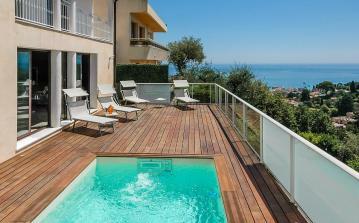 With it's private swimming pool, it is also very close to the beach. 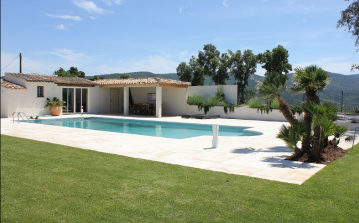 This holiday villa is suited for a small party of four or a couple, who will appreciate the sleek and airy indoor space as much as the outdoor living, where an infinity pool and beautiful views over the hills complement the idyllic setting of Le Cerf Volant. 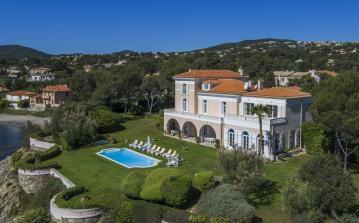 Luxurious villa within a short walk of the centre of St Tropez. 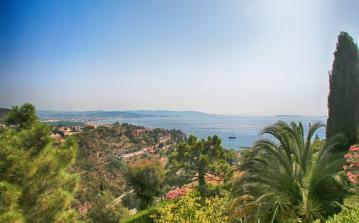 Ideal for one large family or two families holidaying together. Two kitchens, two separate entrances. Thoughtfully designed and well-appointed. Big pool, lots of parking. 7 bedrooms / 6 bathrooms. 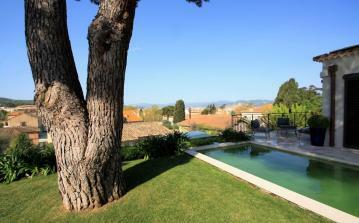 Two wonderful houses with pool in the heart of a lively village. The houses can be rented together or separately, therefore can sleep from 6 to 21. Prices shown are for both properties together, please ask for individual prices.